I have to admit, I am a big time sucker for quotes, sayings, and meaningful words, you hear me? Sigh, I love this feeling of resonance when I feel this deeper layer of truth within the words I’m reading. 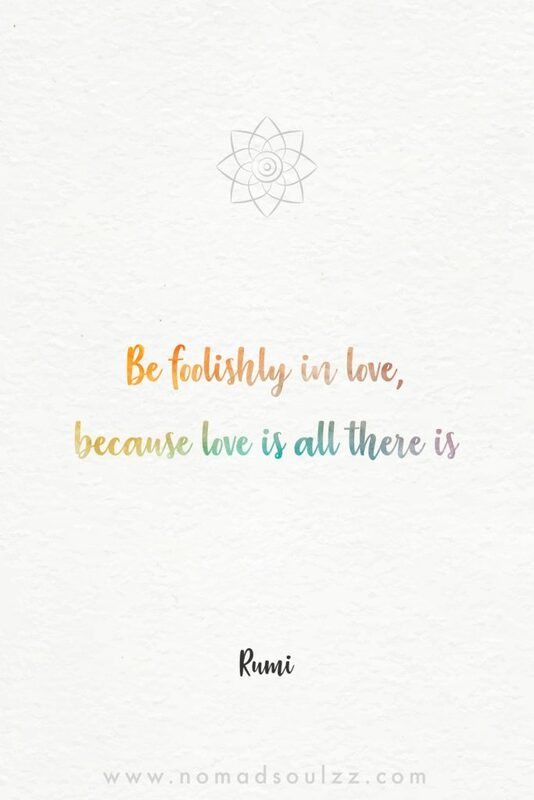 Rumi quotes about life are specifically ones that make me shiver of bliss and make my heart smile. 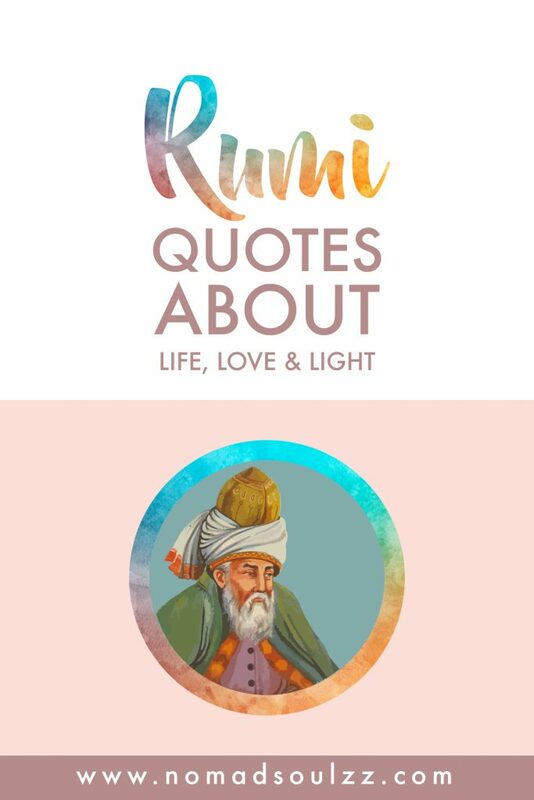 That’s why I decided it was time to share some of my favorite Rumi quotes about life, mindfulness, love, and meaning. 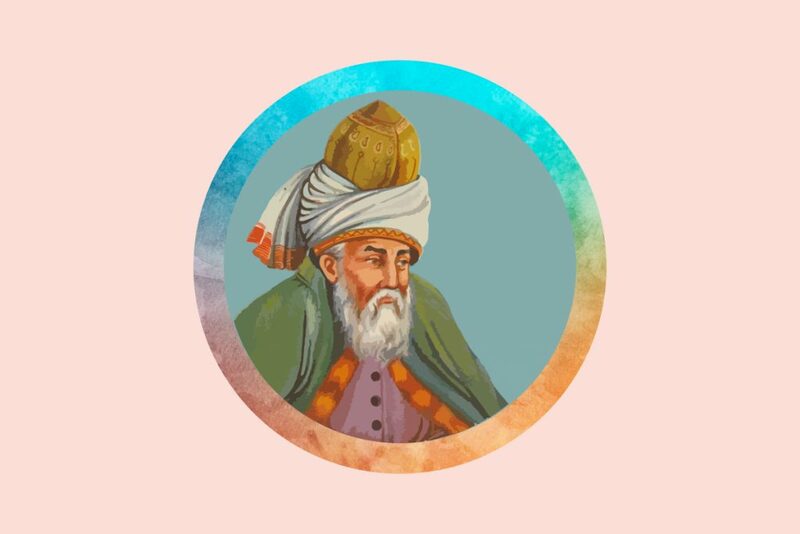 Maulana Jalaluddin Rumi (1217-1273) was one of the most influential poets, philosophers, and mystics of his era. Most of his life he stayed in Turkey and he wrote in Persian. Till this day he has kept his popularity and is growing more and more due to the shift of awareness and higher demand for meaningful living. In his work, he reflects on the beauty and power of (divine) love and inspires you to experience it for yourself. His poems evoke a feeling of liberation, of happiness. His wisdom is timeless and is a great resource of inspiration for life. Mystic: a person who seeks by contemplation and self-surrender to obtain unity with the absolute. A mystic is someone who believes in the spiritual apprehension of truths that are beyond the intellect. Loura wouldn’t be Loura – or in other words – I wouldn’t be myself if I wouldn’t design a unique quote design with these famous words of Rumi. Lately, I’ve been head over heels with anything watercolor, definitely watercolor typography. So I decided to combine my two loves into these eye-catching quotes. If you would like something like this designed especially for you (or your website), that’s possible! Get in touch and check out this page for more of my design work. You will as always be able to see them all in gallery form on our Wall of Growth. 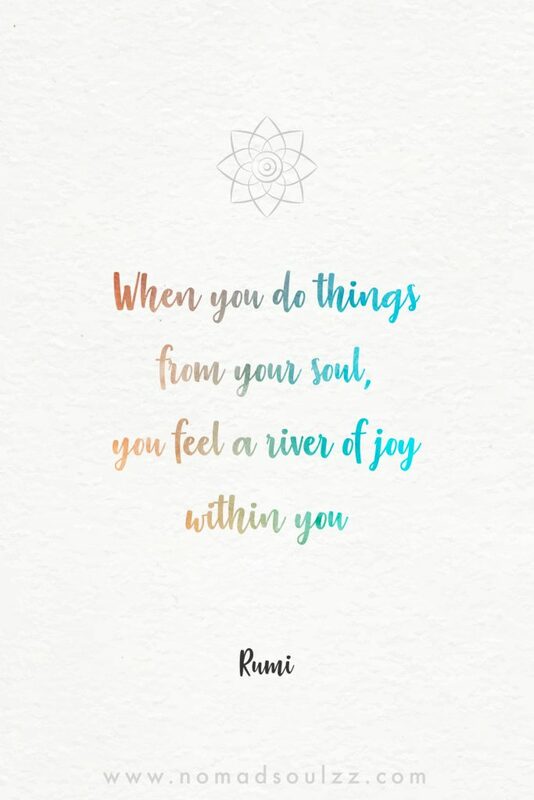 you feel a river of joy within you. Anyone who knows us, knows we are also professional dancers. We dance because our souls need to. It’s a way for us to express what words cannot. flows beyond anything making us blissful happy creatures. 2. I am not this hair, I am not this skin. is your all, a reminder to our true nature is always welcome. 3. 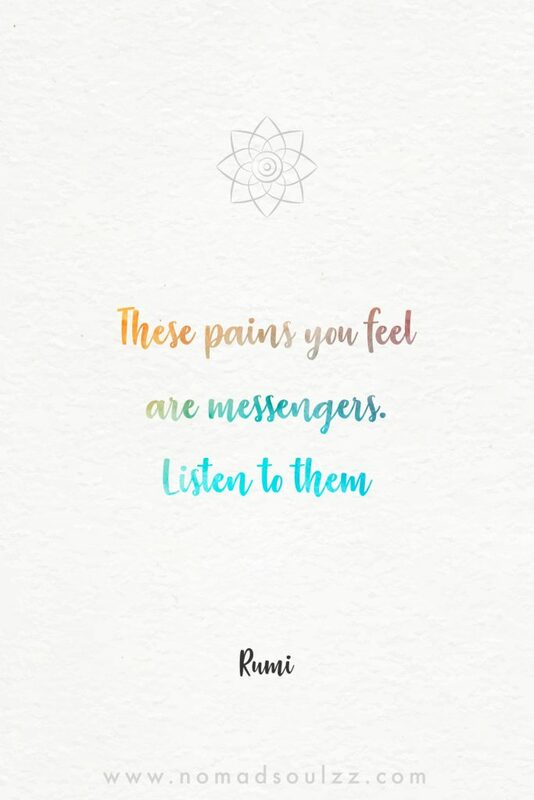 These pains you feel are messengers. to these messengers could just be one of the greatest gifts you give to yourself. 4. 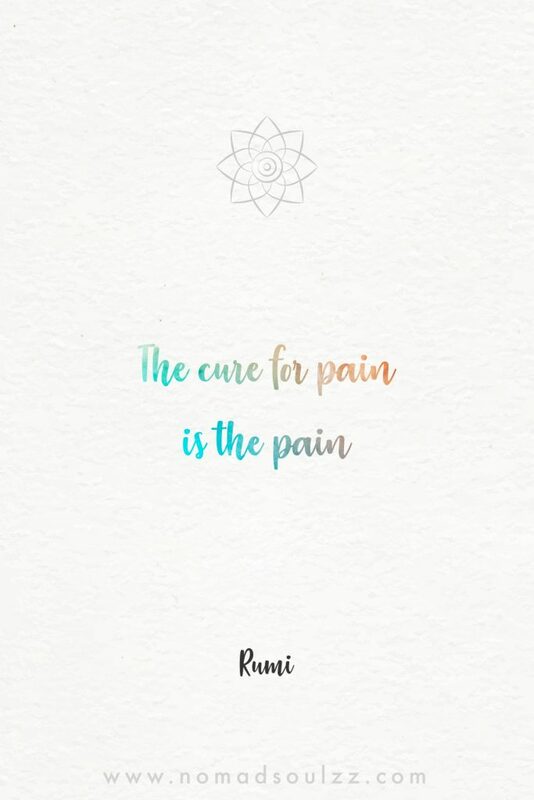 The cure for pain is the pain. to embrace and acknowledge the pain. It will help you. 5. 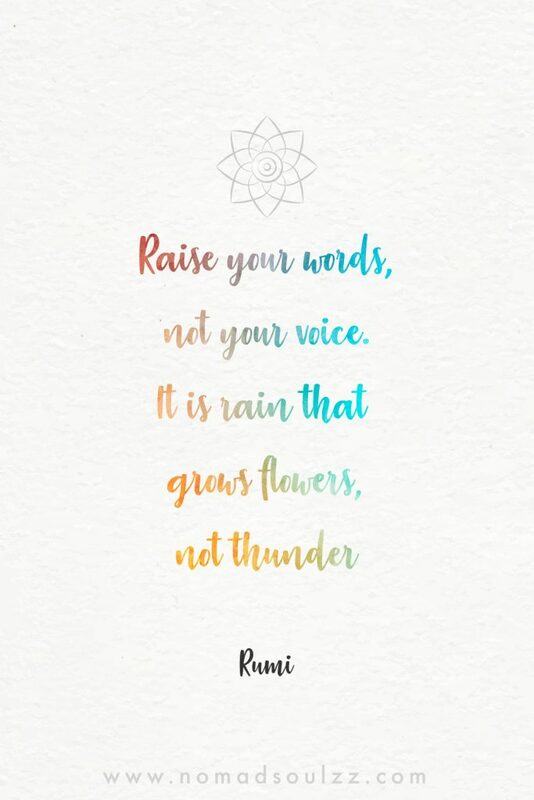 Raise your words, not your voice. 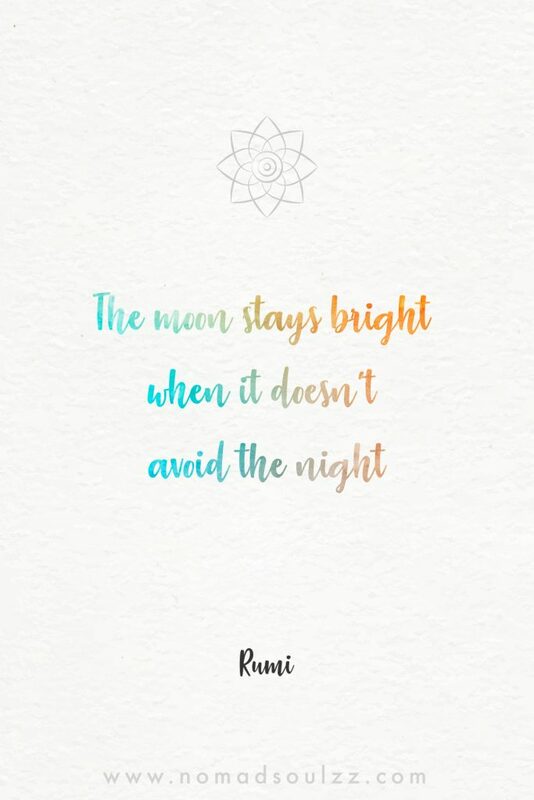 Thank you, Rumi for once again portraying how everything in life is connected. Nature has infinite intelligence for us to embrace and learn from. 6. 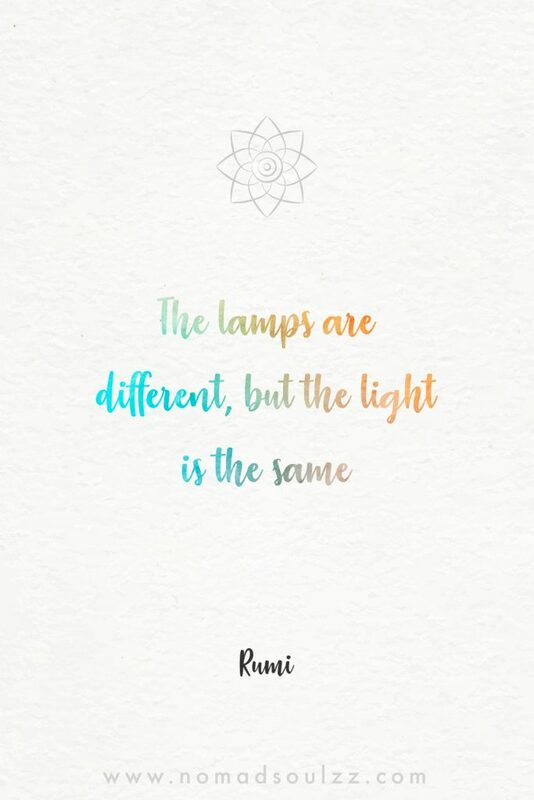 The lamps are different, but the light is the same. 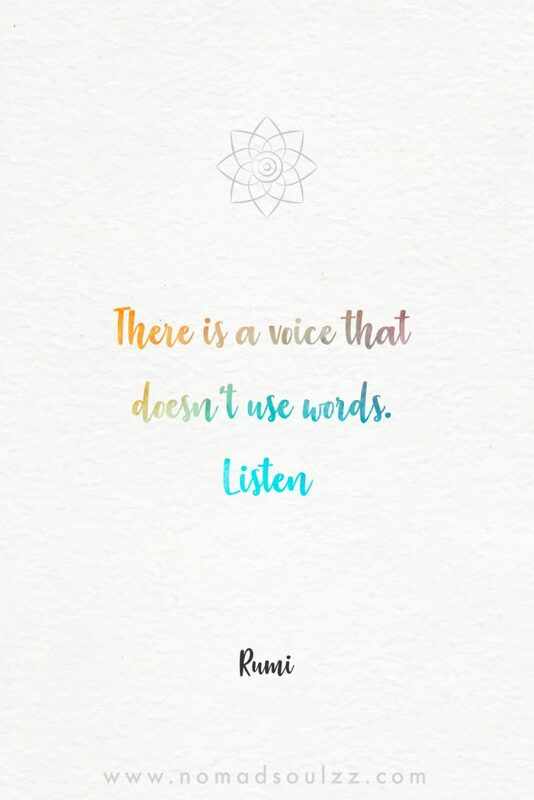 And also thank you, Rumi for the reminder that we all are connected. How we shine that’s up to us, that we shine is because we are. are such a great reminder to interconnectedness of us all. 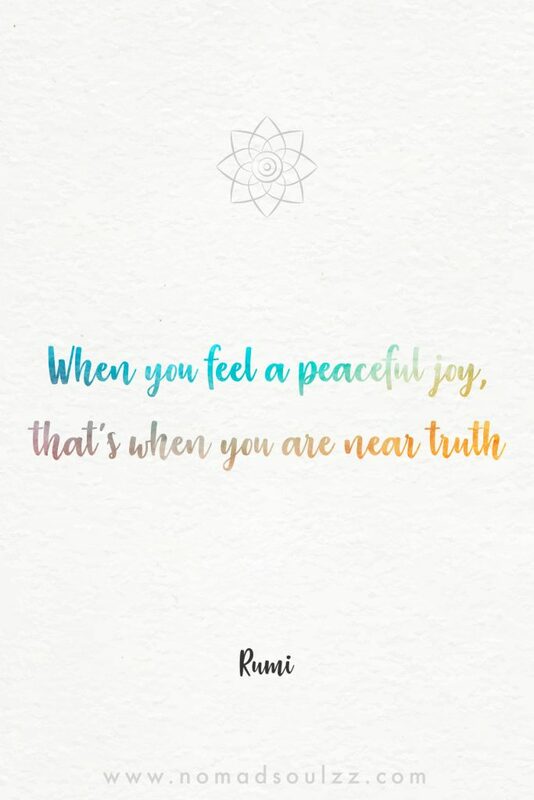 that’s when you are near truth. is amazing. 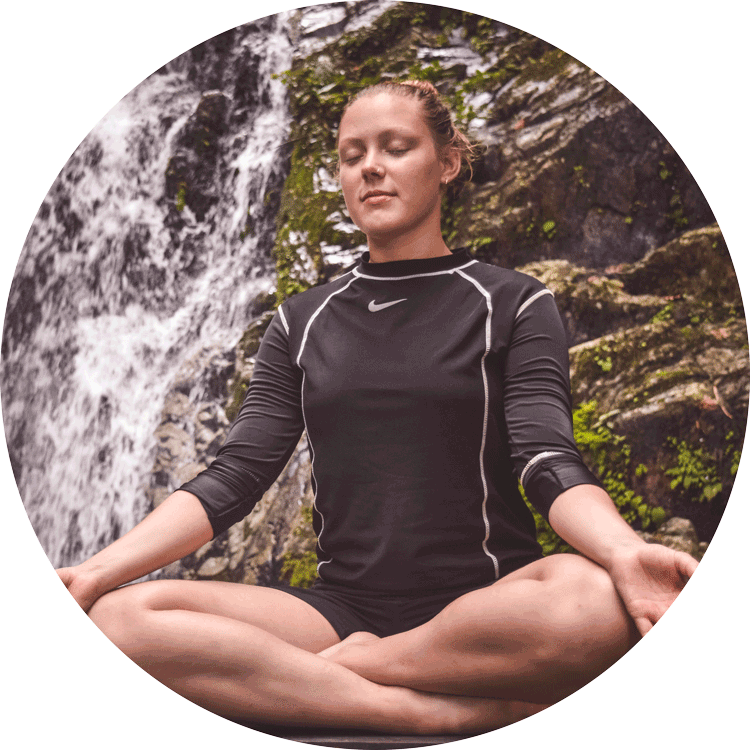 When your rational mind, your physical and spiritual experiences all align: bliss overdose! 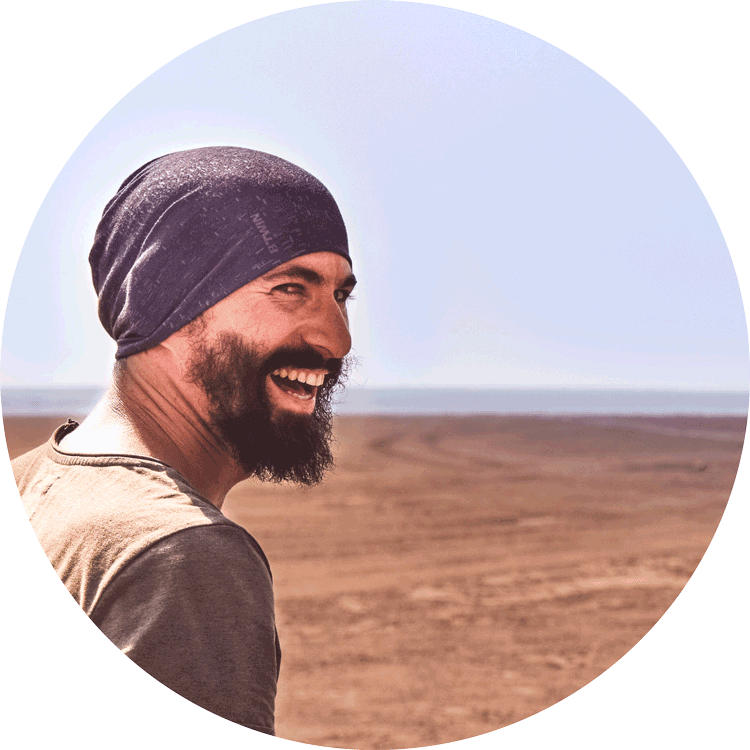 would love reading one of these two posts: Ultimate guide to traveling as an HSP & Essential HSP travel hacks. 9. 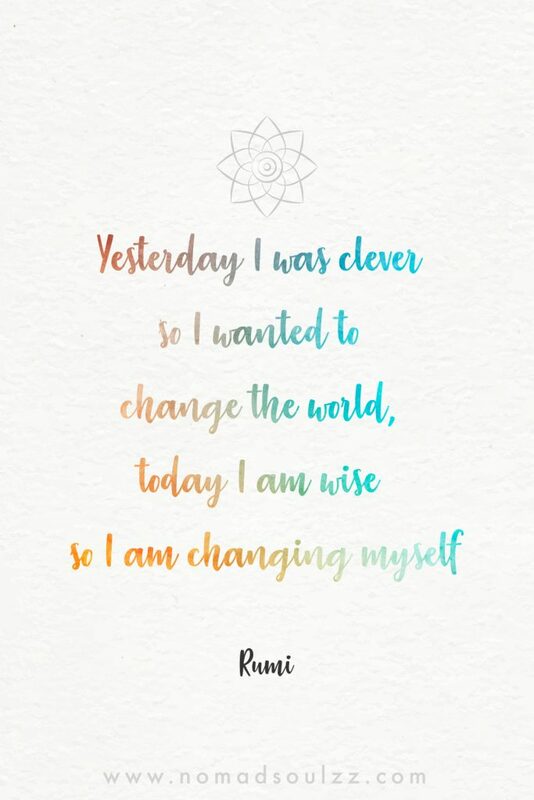 Yesterday I was clever so I wanted to change the world. 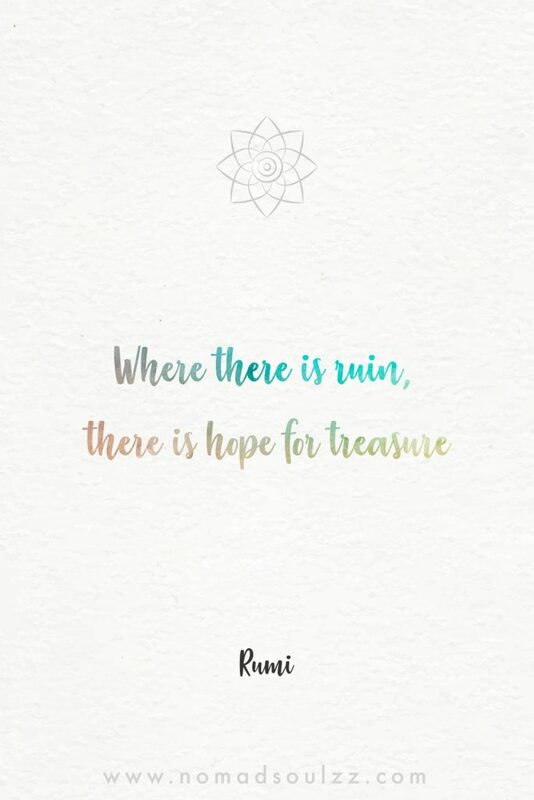 there is hope for treasure. in the most unsuspected places. Open your mind towards them and treasure might reveal themselves. 11. 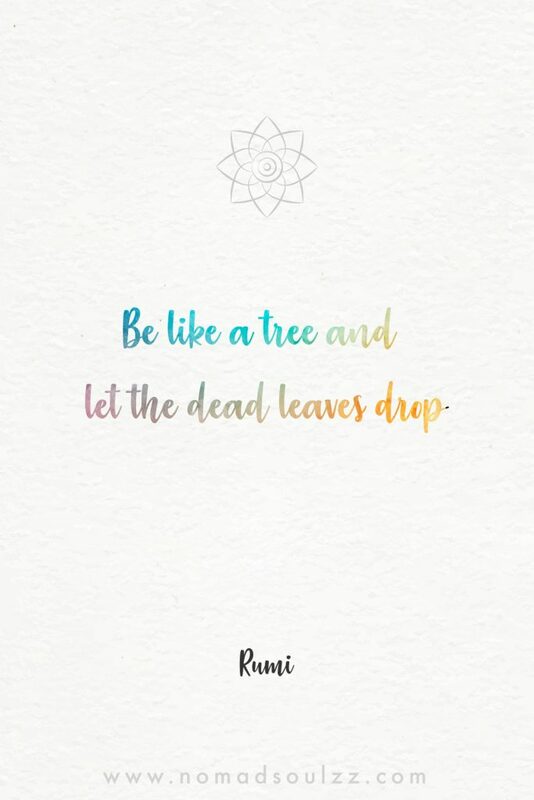 Be like a tree and let the dead leaves drop. A good friend always says ‘It’s time to cut the cords‘… And they’re so right! We are meant to bloom not to hold on. 12. There is a voice that doesn’t use words. Listen. Communication is in everything, everywhere. Our ears are not the only senses that have the ability to perceive. 13. 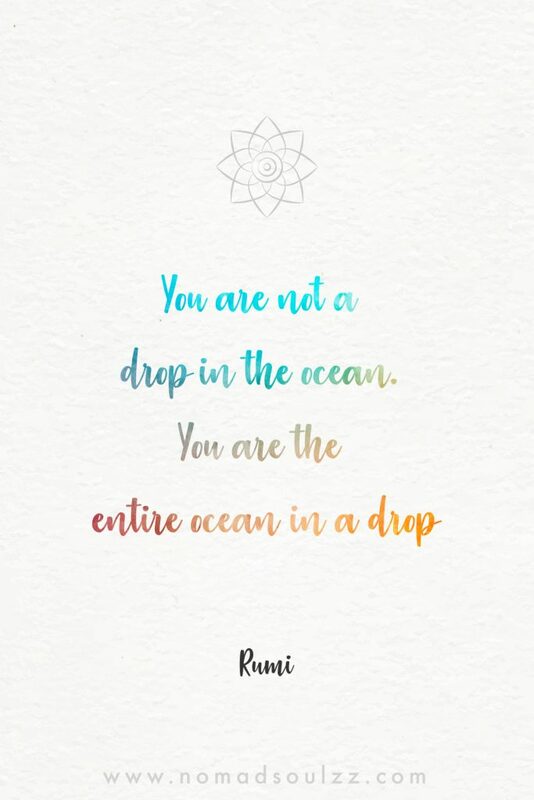 You are not a drop in the ocean. Its all about perspective. 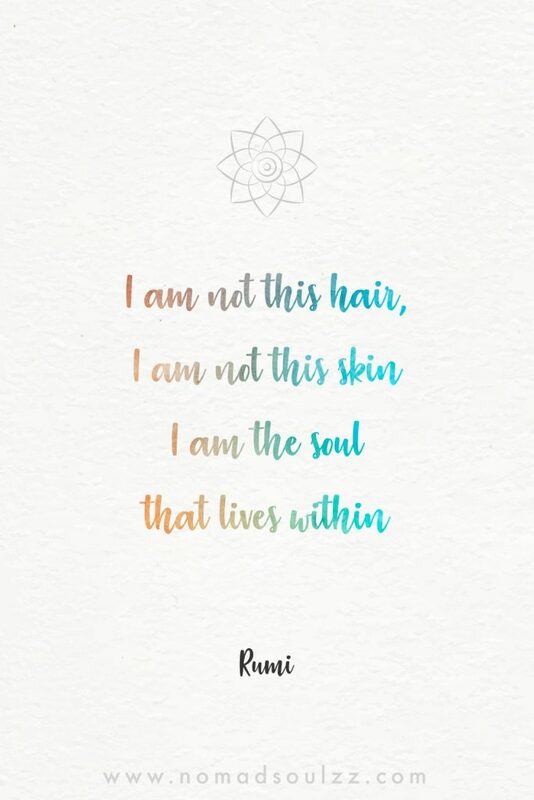 Mind stimulating and love radiating Rumi quotes on life, anytime. Anywhere. 14. The moon stays bright when it doesn’t avoid the night. A precious one. To cherish, to reflect upon, to take in. The depth of his words will remain an inspiration for life and I truly aspire to be able to take them all in as true wisdom, because I feel it is. 31 Blasting Self Love Affirmations! Share it with your friends through social media and help Nomadsoulzz grow so we will be able to create more meaningful content. Thank you!